Grease presented by Studio Tenn from May 10 through June 03, 2018 was a perfect marriage of arts and community. Studio Tenn continues to support the arts with their high-quality theater productions that are often customized for the community. 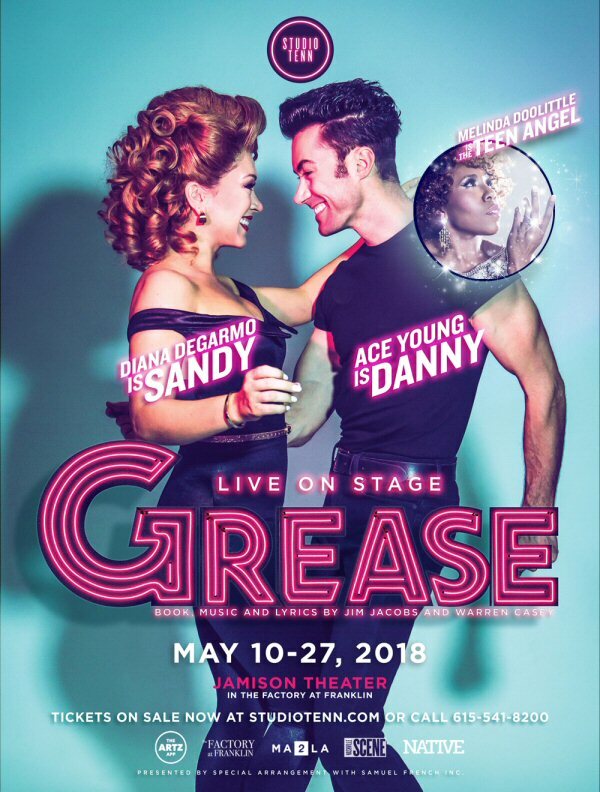 Their version of Grease showcased star-power with the husband and wife team Ace Young and Diane DeGarmo in the lead roles along with Melinda Doolittle. All three were former American Idol finalists. It should be noted that the day (June 1st) that we saw Grease the role of the Teen Angel was performed by Melinda’s very capable sub Libby Black. Studio Tenn’s Grease had received a lot of positive press, so we were glad that we got an opportunity to watch this talented team present the popular musical at the Jamison Theater. The intimate, fine sounding venue is located in The Factory at Franklin (TN). The theater is near Jeni’s Ice Cream and Mojo Tacos. There are also other restaurants along with unique shops at The Factory for people to check out before a Studio Tenn show. The colorful costumes, lights and sets were effective in taking us back to 1959. The streamline design of the stage allowed the cast to shift props easily so we found ourselves at various locations including a drive-in movie, a high school dance and the ultimate 50’s hang-out the soda shop. A full band backed the terrific troupe who through song and dance told us a teenage love story – Danny was a greaser who fell in love with a prime and proper girl named Sandy over the summer. Sandy was scheduled to attend another school but ends up at Rydell HS where Danny was an established bad boy. The two had to overcome peer pressure as they and their fellow students navigate the challenges of coming of age. Although times have changed so much of the T-Birds and Pink Ladies’ struggles are still relatable. The romance was told through songs – so many of them classics – that the Studio Tenn crew presented with emotion and energy. Some of the highlights included “Hopelessly Devoted To You” and a lively “Greased Lightnin.” Laura Matula in the role of Rizzo marvelously mocked the lead in “Look At Me I’m Sandra Dee” and of course the closer “You’re The One I Want” was feisty and fun featuring the entire crew. Grease was a great way for Studio Tenn to close the season before a summer break. 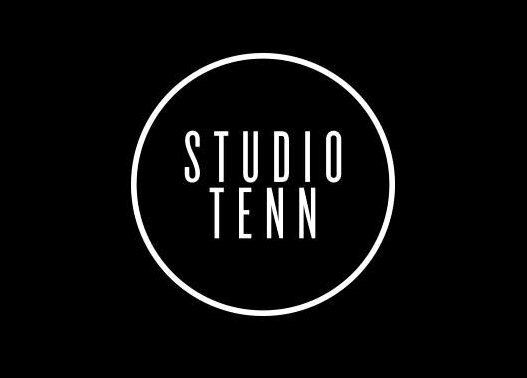 Established in 2009, Studio Tenn is a non-profit, professional theater group based out of Franklin, Tennessee. They are backed by corporate and individual sponsors who support Studio Tenn’s vision “to become a theatre company that is embraced locally, engaged regionally and respected nationally, and to elevate Middle Tennessee to national prominence as a vibrant, viable birthplace and destination for world-class professional theatre.” Grease capped off another stellar year for Studio Tenn and their 2018/2019 events are looking just as strong with Frankenstein, Beauty and the Beast, the dramatic Cat on a Hot Tin Roof, The Sinatra Legacy and Damn Yankees. The new season begins on August 31, 2018, so mark your calendars now.